This fantastic vase was made by Michael Hunter for Twists Glass in 2017. 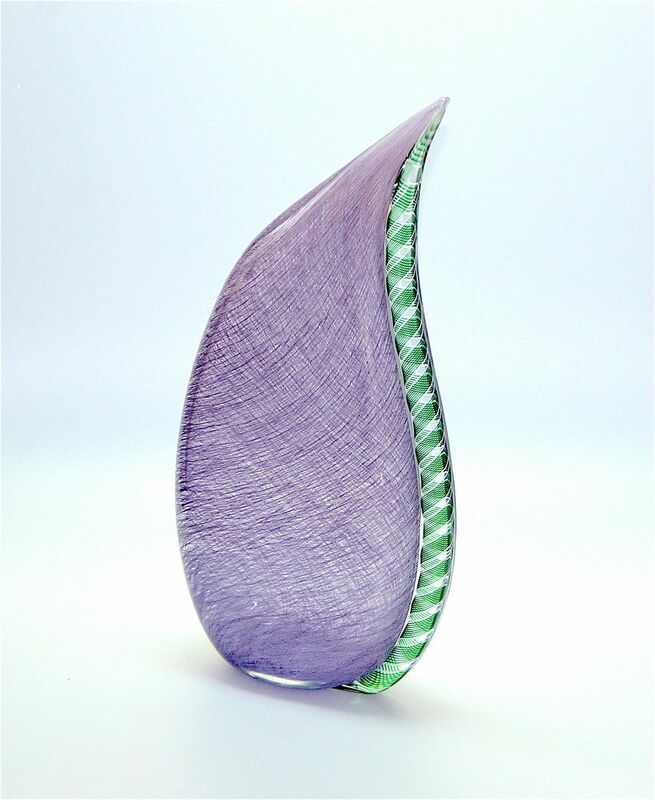 The vase shaped like an elongated tear drop and is made of purple merletto cane with an external green and white zanfirico cane fused onto the the longest side. The base is scratch signed "M Hunter Twists 17" & "Tear" and has the Twists Glass studio label. This is another superb illustration of Mike's talent.